The other morning, I took another walk to Ponce de Leon Park in Punta Gorda. As usual, it was enjoyable not only for the exercise on a lovely morning but also for the things I see at the park and along the way. 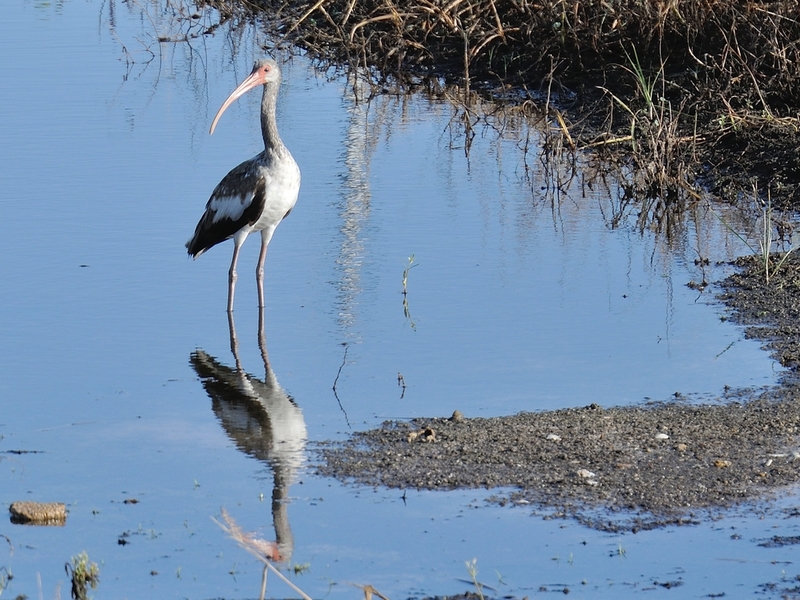 As I passed the big condo complex on Marion Avenue I found this immature White Ibis looking for breakfast in the puddles from the last nights rain. 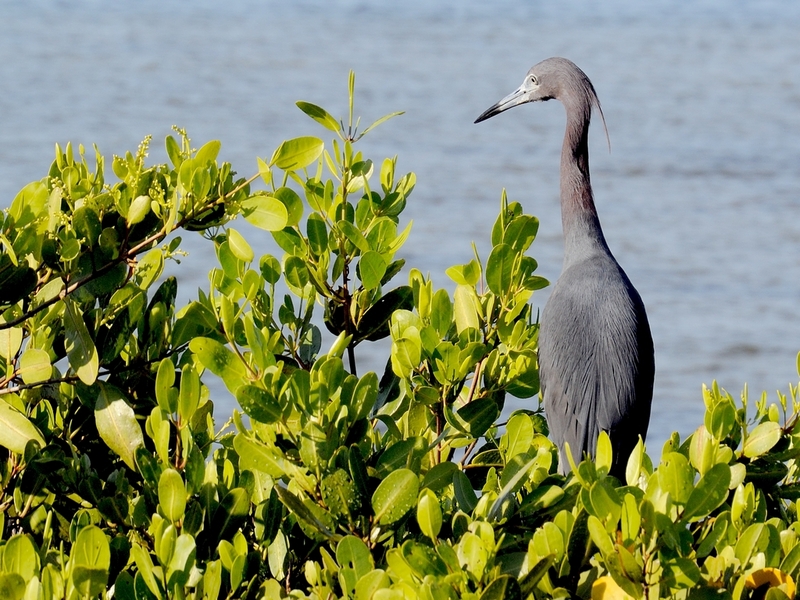 I think this Little Blue Heron must have read my last post about Mangrove Tree Crabs because he was walking around on the top of the mangroves looking for them. I noticed some movement on the sand. 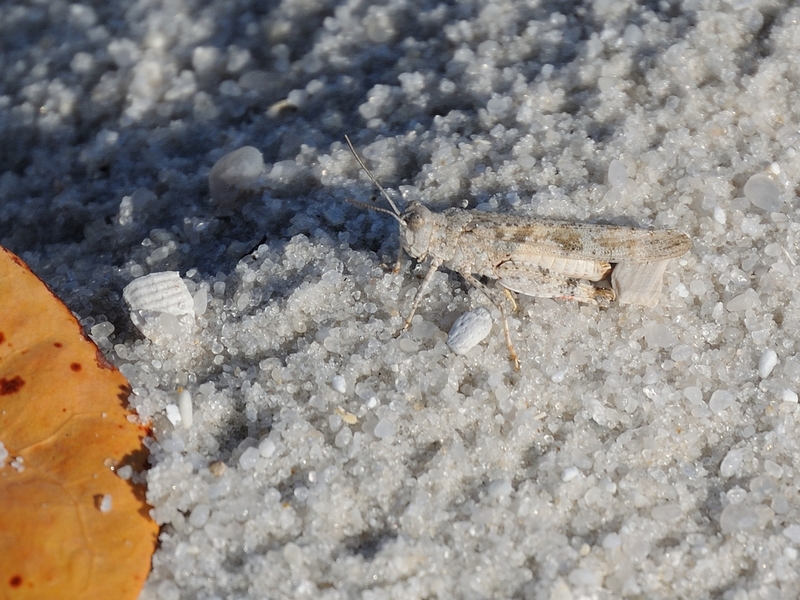 If I didn’t have the sea grape leave for a point of reference I wouldn’t have been able to find this small grasshopper. It really blended in well. 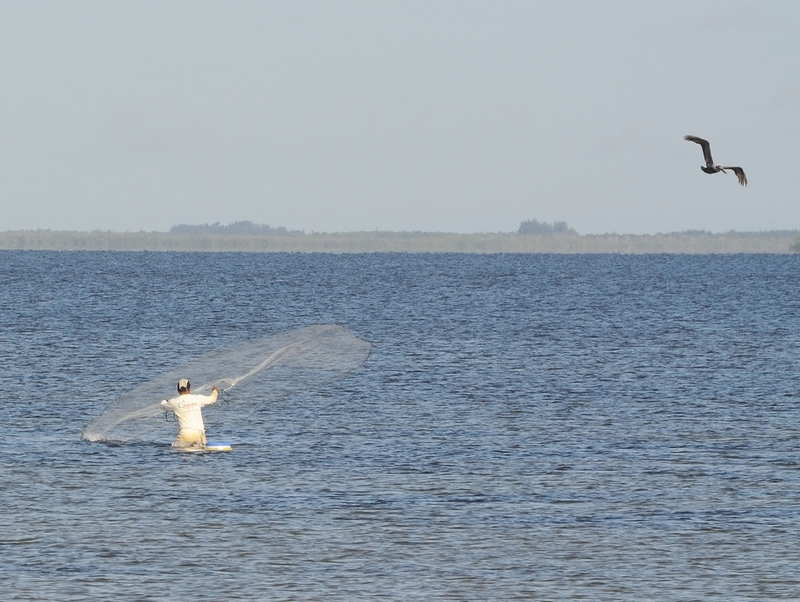 Meanwhile, out in the shallows a fisherman was throwing a cast net. Casting a net usually looks pretty easy until you try it. It takes more strength and coordination than you might think to get it to fly properly. This entry was posted in animal behavior, Bird, Bug, Park - Ponce de Leon and tagged castnet, grasshopper, Little Blue Heron, Nikkor 30-110mm, Nikon V1, Ponce de Leon Park, White Ibis. Bookmark the permalink.